It has been very busy couple of months, it is hard to believe that 4 months has passed since the last Inheritance Recipes round-up. There is also no geographical restrictions for the entries, recipes from all over the world are more than welcome, we love diversity! December – March entries can be seen below. Follow the number links under the collage to check them out and don’t forget to subscribe to Inheritance Recipes Pinterest board (that has now 3,837 followers) and Inheritance Recipes list on Twitter which we use to retweet recipes from IR participants (past or present) every morning. 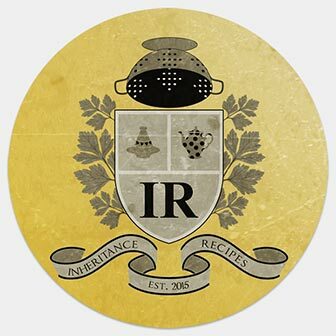 From now on you can submit your IR entries on one of our pages, Solange’s or mine and once we have enough recipe links to share, we will post the round-up. The new, open link-up is here.